Commercial buildings that offer services or commodity sales require rapid response to a damaging water event. SERVPRO can respond in this way, We're Faster To Any Size Disaster, to distressed structures in the Mountain Home area. Fast setup of equipment can mean fast results. Our business is to keep you in business. The high winds drove rainwater into this Mountain Home via a broken window. 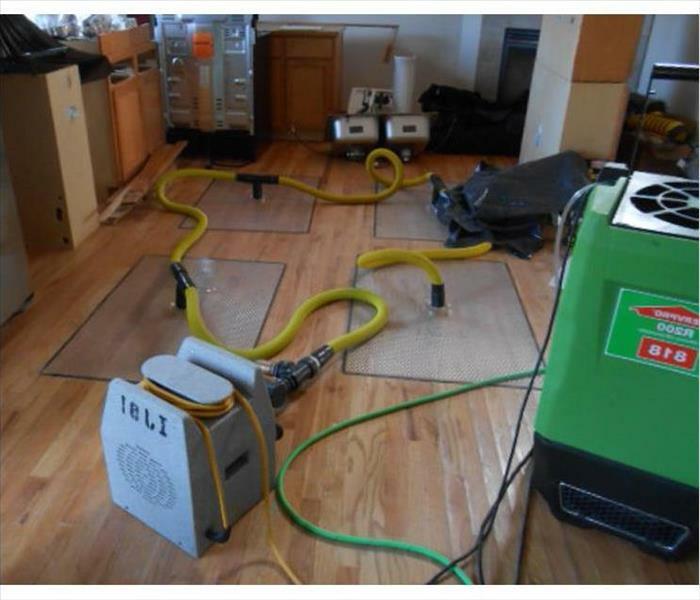 The pooling water was vacuumed up by our SERVPRO techs and drying mats and dehumidifiers salvaged the expensive hardwood flooring from permanent damage. We're Faster To Any Size Disaster. The water from a plumbing leak inside a Mountain Home vanity can go unnoticed for a period of time. 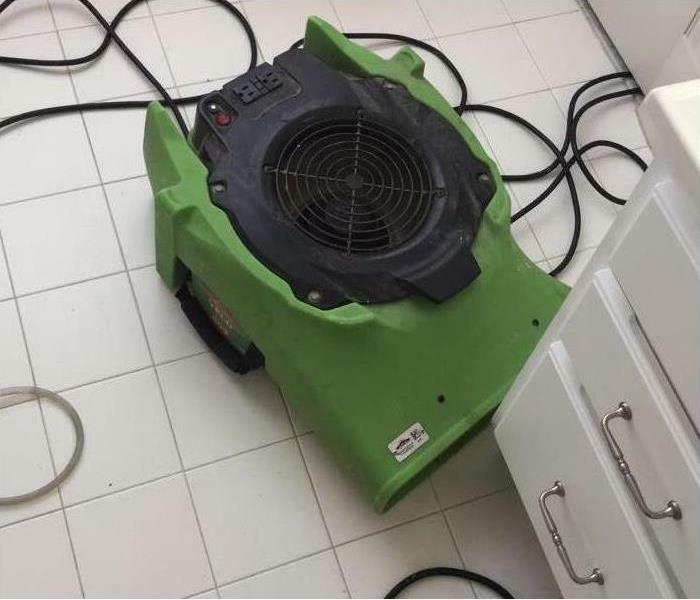 Our SERVPRO technicians can mop up the water from the wet tiles, sponge the puddles inside the base cabinet, and then set up an air mover to hasten the evaporation to save the material from degrading. We try to restore and not replace, a concept our customers greatly appreciate. Plumbing failures can disrupt routine business activities in a Mountain Home area building. Just another reason to call on SERVPRO to quickly show up, remove the water, dry the area, and then the routine is restored. When a storm has caused major damage to your Burley home, we are the team to call. Our skilled professionals are ready to respond 24/7 with our advanced equipment. We are IICRC certified in water restoration. SERVPRO of Wood River Valley has the training and storm damage experience to restore your home to pre-damage condition. 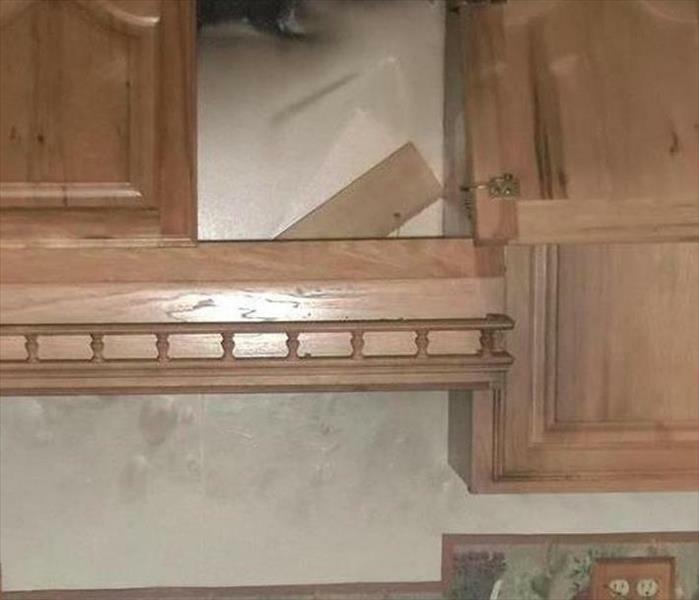 The small stovetop flareup damaged a portion of the kitchen wall, hood, and cabinets in this Mountain Home. SERVPRO can wipe down the sooty residues and eliminate the smoky odors. 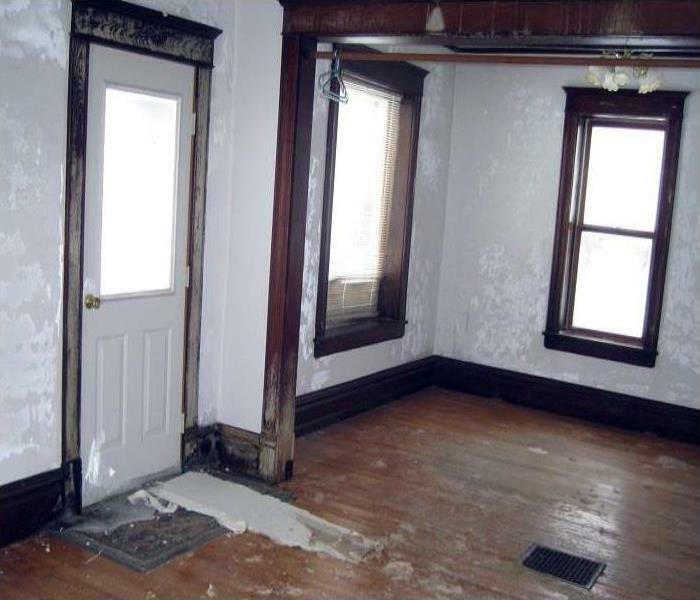 Homeowners generally smear the walls, and then a new paint job is needed. Count on us to save you time, aggravation, and money. 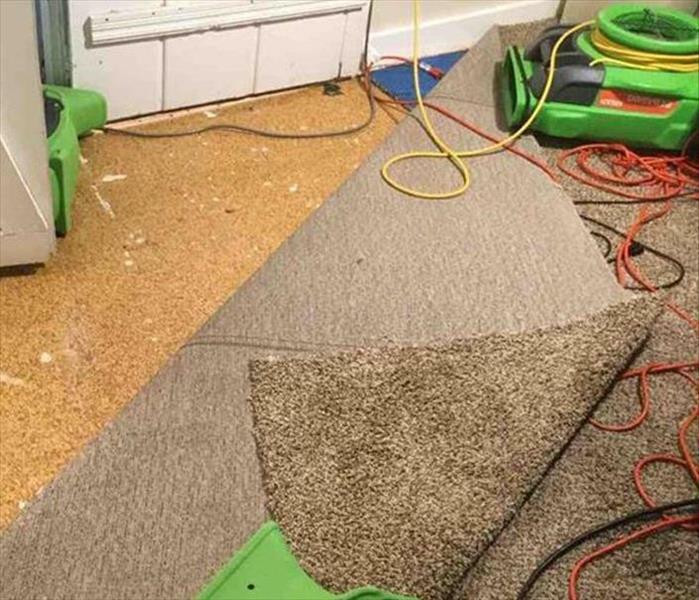 Since SERVPRO always strives to restore and preserve and not replace elements after a water loss, we went the extra mile to dry this carpet in Burley. After a once-over with a wet vac, we pulled back the carpet to begin "floating a warm circulation from our air movers. Our customer was very pleased with our efforts. Call our experts when a storm has damaged your home. Our technicians are ready 24/7 to respond to your call. 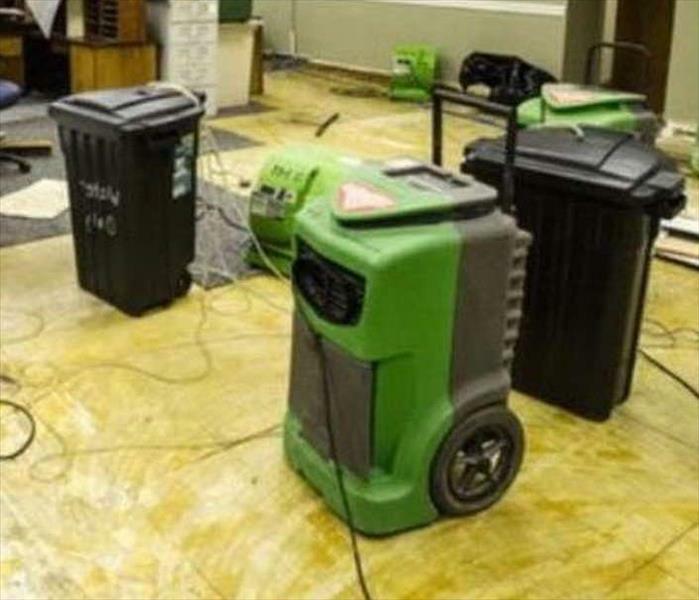 SERVPRO of Wood River Valley has the equipment, training, and experience to restore your home to pre-damage condition. We’re Faster to Any Size Disaster! 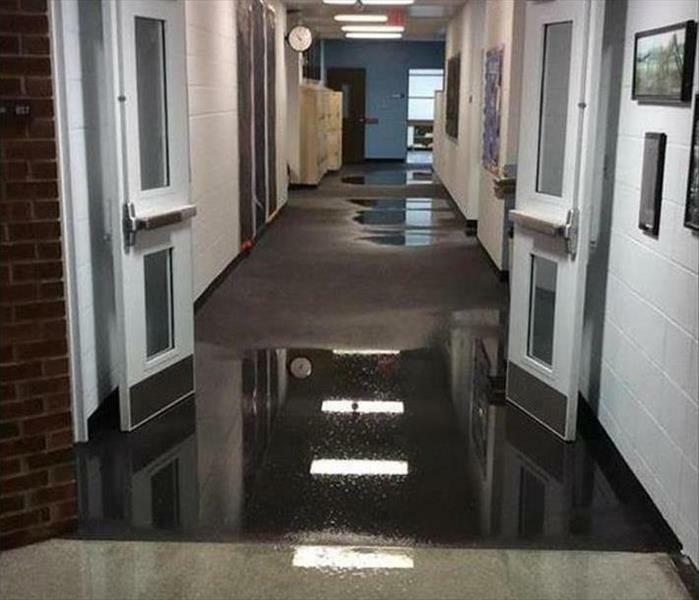 The flooded office in Burley was not discovered until Monday morning. 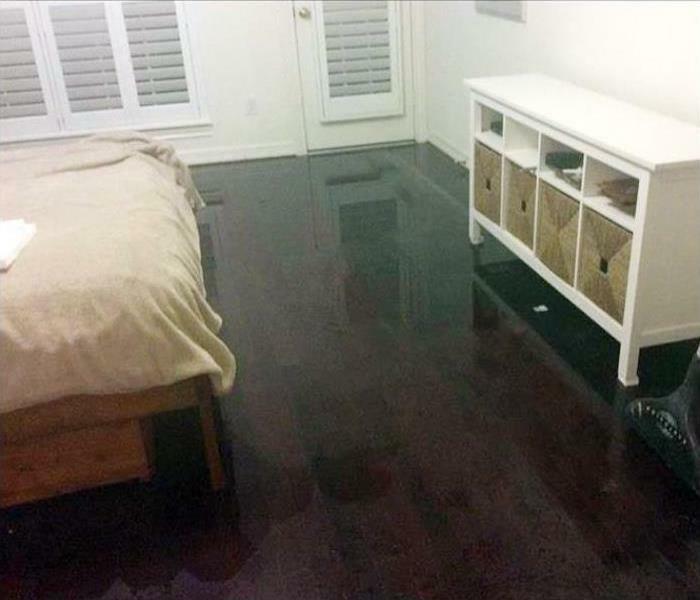 The glued-on carpet tiles were not salvageable after the soaking and lifting from the subfloor. 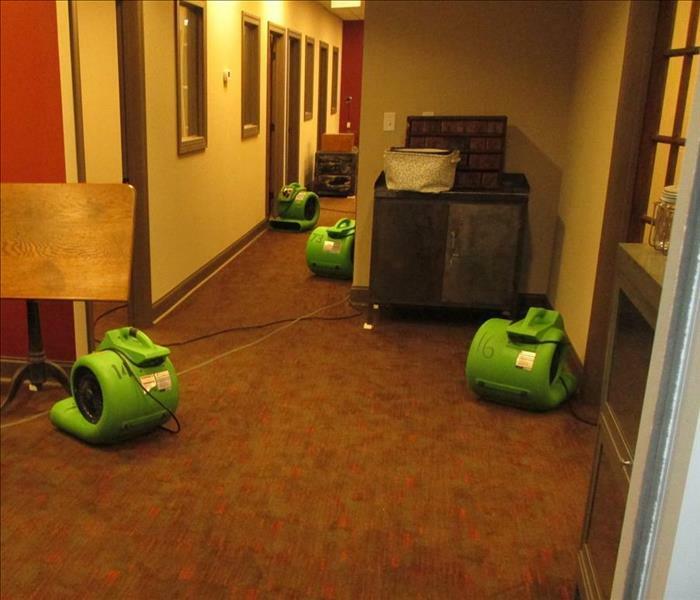 Our SERVPRO crew can remove materials and set up drying equipment to restore normal indoor air quality and environment. Improperly stored flammable materials can often cause a significant amount of damage to structures in the Twin Falls area of Idaho. 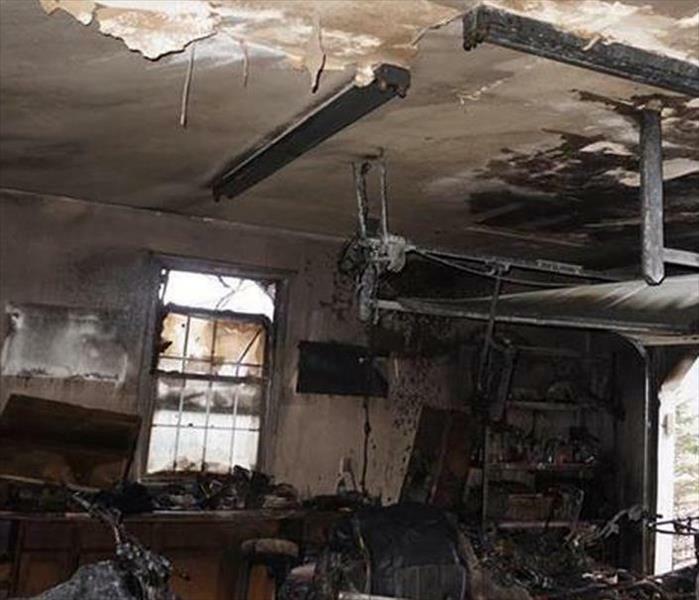 The removal of charred debris and moisture pockets from the extinguishing efforts are the first steps initiated by SERVPRO technicians. 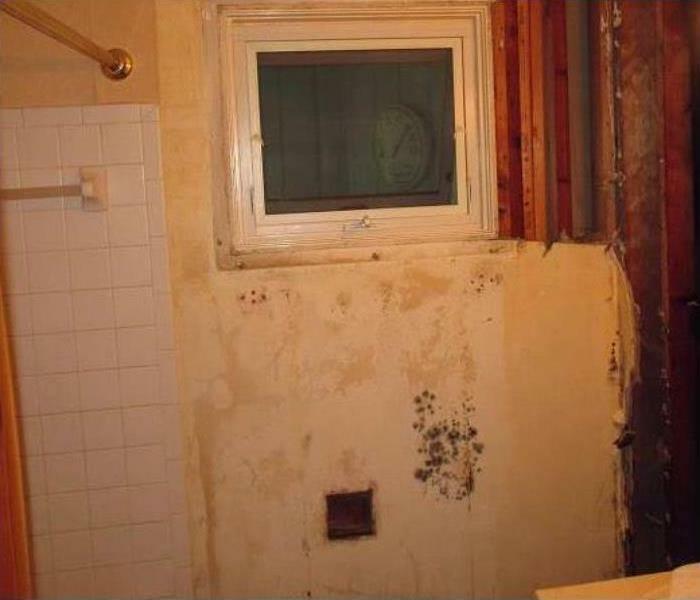 Big damage needs big help--call SERVPRO. 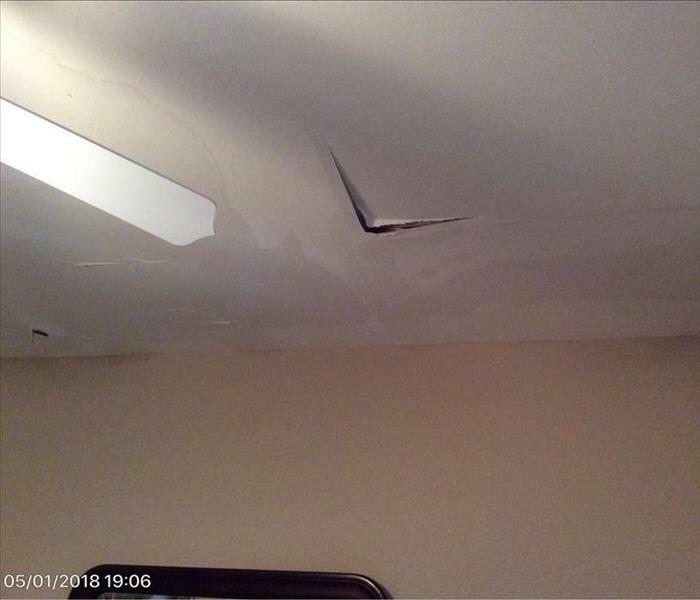 When ceiling panels become soaked from a burst pipe joint in a Wood River Valley home, it is time to call SERVPRO. We can safely remove the saturated building materials, have the leak fixed, and then set up drying equipment. We are here to help. When a storm floods your home, we are the only team you can depend on to respond 24/7. 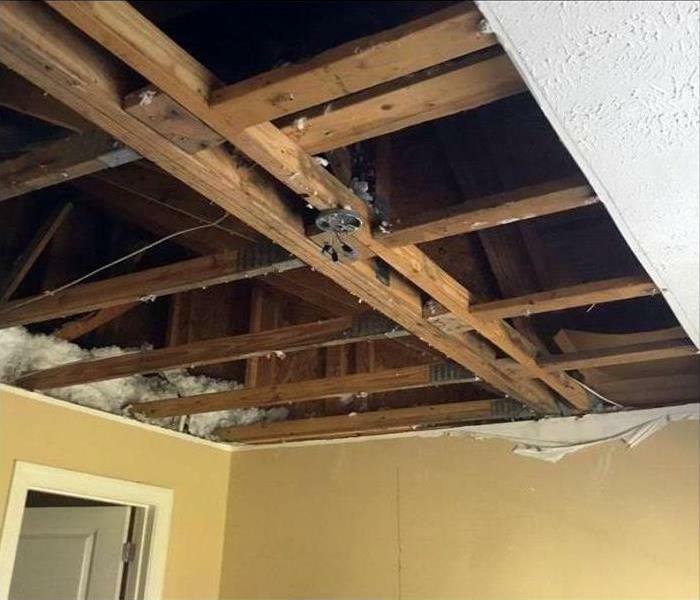 We have the personnel, state-of-the-art equipment, advanced training, and storm damage experience to restore your home to pre-damage condition. SERVPRO of Wood River Valley is Faster to Any Size Disaster!